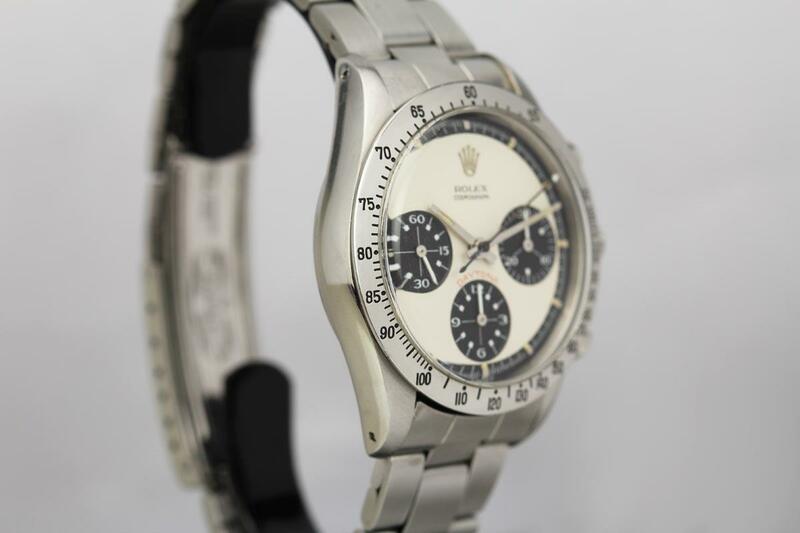 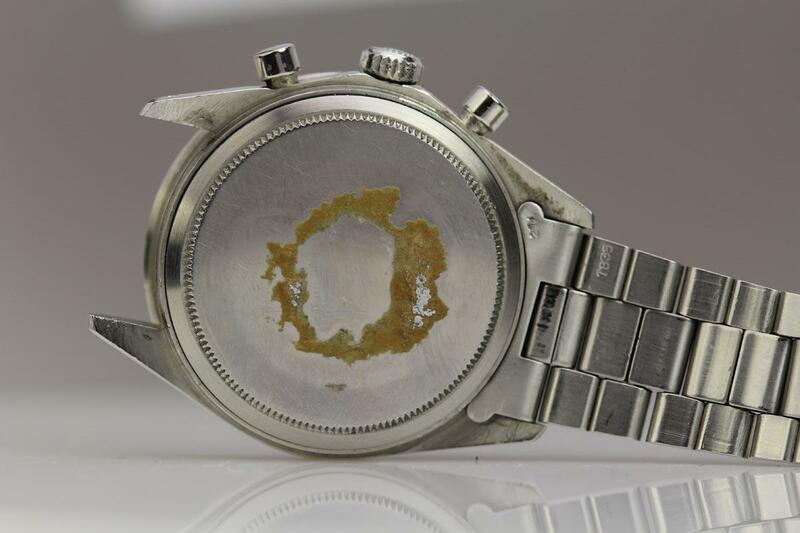 What makes this Rolex Paul Newman a grail watch is the condition. 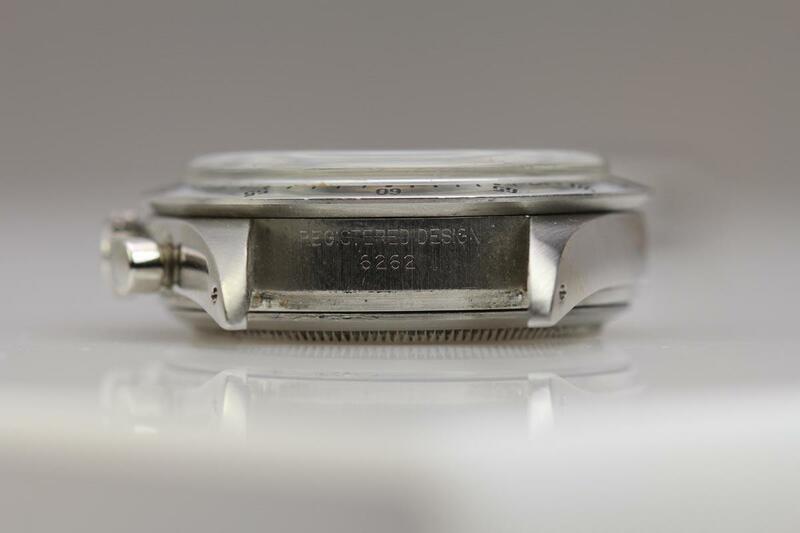 This watch case is impeccable and has never been polished with part of the original sticker still on the back. The panda dial is bright and flawless with beautiful luminescent dots and no marks or scratches. 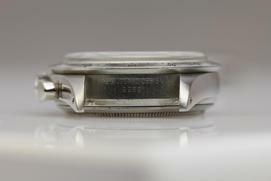 The watch comes on the original Rolex fold over band with the proper 271 end links. 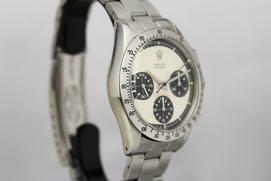 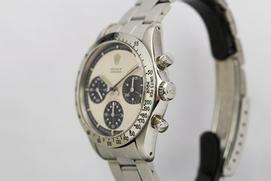 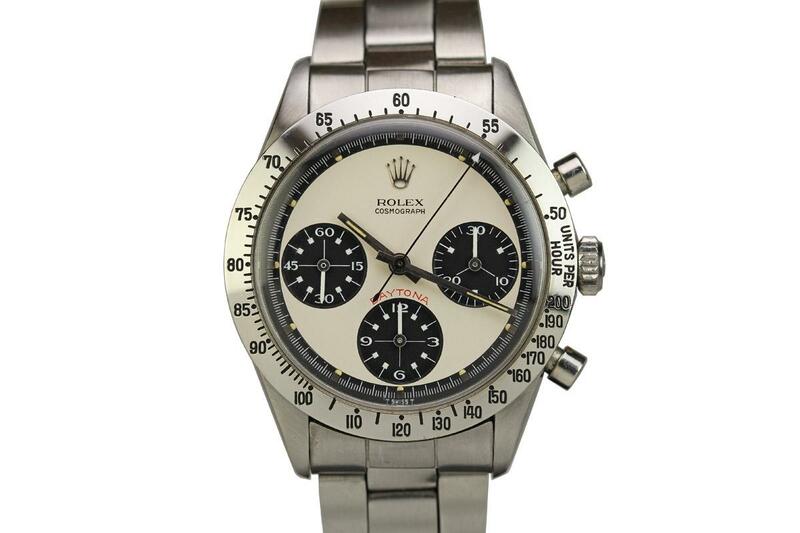 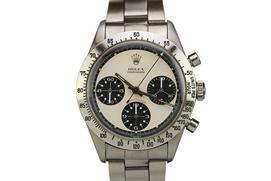 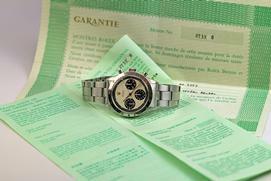 The final kicker is this Paul Newman comes with the original box and Rolex guarantee which is very difficult to find.